The Frontline Club Restaurant offers quality seasonal modern British food. For members looking to book in the clubroom or restaurant diners wanting to reserve for 6 or more guests, please enquire by email or call 02074798950. "...the Frontline is a staggering find: big, grown-up, lots of wood, but light and jolly with just a hint of foreign battles." Giles Coren, The Times. The Frontline Restaurant offers the best in modern British cuisine, with many ingredients provided by the owner's farm in Norfolk. The Frontline Restaurant is decorated with some of the most iconic photographs of the 20th century, put together by picture editor John Morris of Magnum. Our restaurant's profits go to support the Frontline Club Charitable Trust and its events and workshop programme. Host your event at Frontline: From canapé parties and book launches to meetings and conferences, we can cater for a variety of different events. 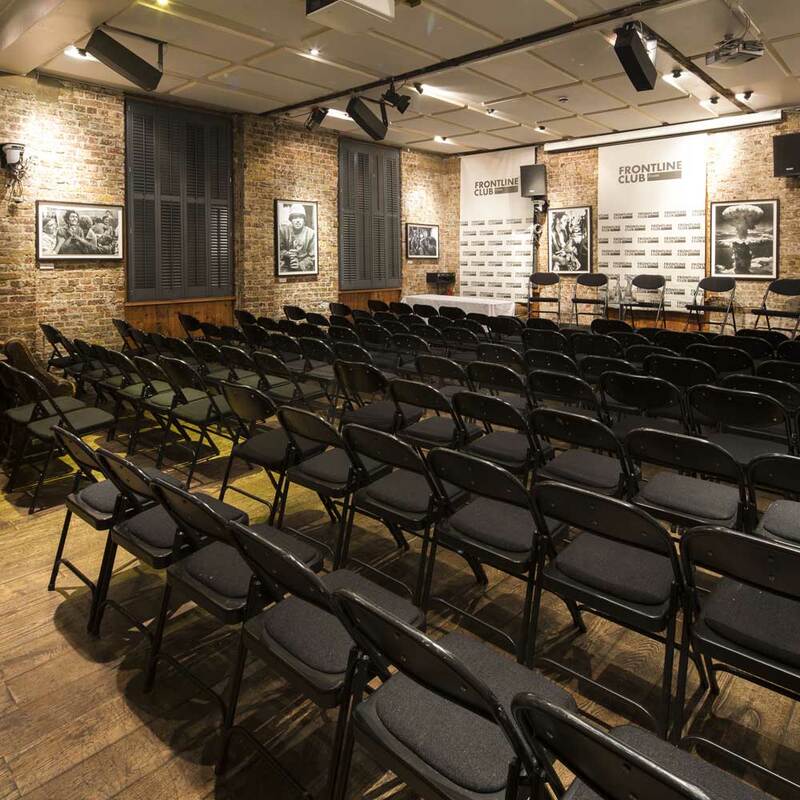 Our Event Room is light and spacious, with a high ceiling, sash windows, natural wood floor and bare brick walls.